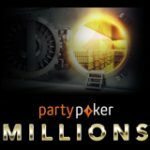 The Party Poker Million Summer Giveaway promotion offers a million in prizes including ten Caribbean Poker Party prize packages valued at $6,000 every week. The PartyPoker Million guaranteed live poker tournament takes place at the Hard Rock Hotel & Casino, Punta Cana. 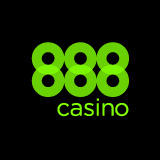 There are over two million in guaranteed prize pools at the Caribbean Poker Party. The series of events takes place between 19th – 26th November, and includes the 2016 WPT Caribbean Main Event which also guarantees a million. 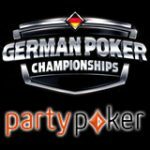 This summer the popular online poker site is splashing out with the Party Poker Million Summer Giveaway leaderboard promotion. 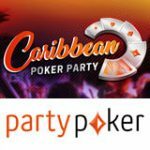 Win a $6,000 prize package to the Caribbean Poker Party live event taking place in November in the Punta Cana, Dominican Republic. There are ten package to be won each week to the Caribbean Poker Party at the Hard Rock Hotel & Casino, Punta Cana where there will be a weeks worth of activities with over two million in guaranteed prize pools. 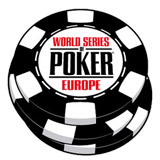 To rank in the leaderboards players must play Party Poker Power Series tournaments with buy-ins of at least $109. 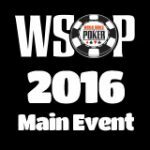 This includes tournaments in the Heavyweight and Highroller divisions on the tournament schedule. 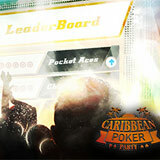 Leaderboards start on Mondays each week and the top ten positions will win a Caribbean Poker Party prize package. Prize package winners will receive a $1,000 paid into their player accounts which must be used to arrange their own travel and any documents required to enter the Dominican Republic. Accommodation is arranged by PartyPoker at the Punta Cana Hard Rock Hotel & Casino, Dominican Republic. Activities to do once Checked in: Welcome Party at Woodstock Plaza, Water Polo, Volley Ball, Cocktail Party, Golf Day and Farewell Party at Fillmore Ballroom. 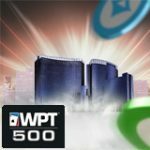 The 2016 WPT Caribbean will also be taking place as part of the festivities, players can also win a WPT prize package on Partypoker. Players earn leaderboard points based on the buy-in amount, how many players are registered in the tournament and your finishing position. 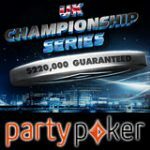 Points are only awarded for playing PartyPoker Power series tournaments with buy-ins ranging from $109 - $2,600.